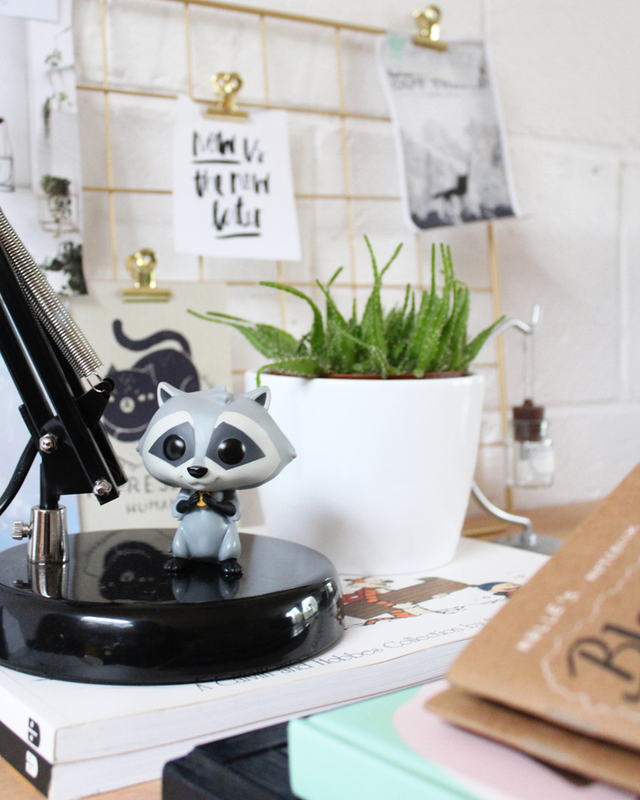 MAKE MY DESK A FAVOURITE, INSPIRATIONAL SPOT. I've always been under the impression that a desk is at its best when it's tidy. And by tidy I thought, you know, empty... 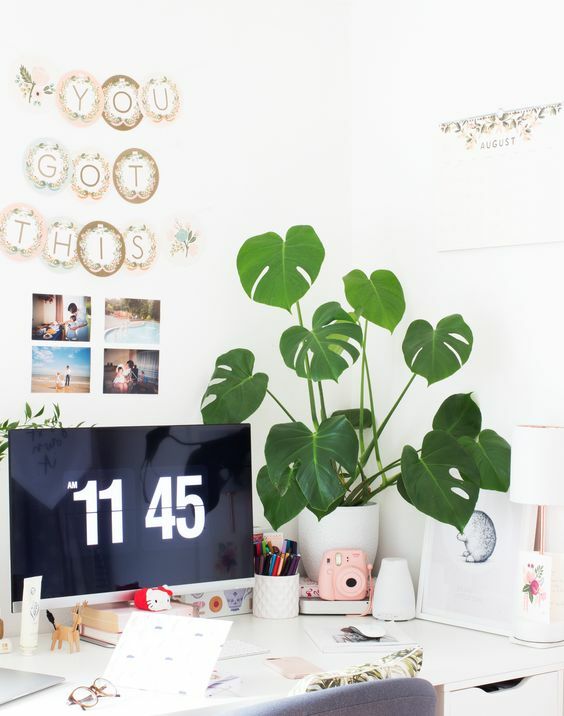 I've recently found that a desk can be tidy while being absolutely cluttered at the same time, stacked with pretty, inspirational things that would provide a stimulating workspace. One I've always been jealous of is Rebecca's, from From Roses, working spot, which is already serving as a huge guideline for updating my own. I just love the idea of throwing in stuff that might tell a person something about your character or your favourite things, all while being surrounded by some of your favourite trinkets in addition to all the obligatory yet useful things. Thank heavens I love those as well, give me all the stationary, am I right? I have a tiny bedroom, and although I've already added a couple of things I still think it's kind of bare. There are so many simple ideas on Pinterest for making a small bedroom into a luxurious one, and I can't wait to make mine a heavenly spot for returning to every night. Things I feel will make a huge difference? Giving it some colour, throwing in some pillows and greenery, and giving my walls some things to hang from them. Very bedroom-proof and easy to DIY eventually. the best way to give a room that extra touch. I love plants, but, frankly, I don't have enough of them. I dream of a space full of them, really, in the bedroom, in the bathroom, anywhere you can think of. On top of the wishlist is a huge one, any kind (as long as it's cat-safe), because it can add so much character to a spot that was dull just a second before you planted (pun intended) it down in a certain place. Little ones as well, and I'd like to make it my quest to find the funniest, most diverse collection of planters to put them in, as well. and if you're ever looking for the perfect present for me? Ferns are my absolute favourite. non-poisonous, beautiful leaves. You couldn't possibly ask for more. You probably know the deal: things you don't use very often that take up much-needed space, especially in an apartment. For me, it's the crafting cart I have standing next to my desk. Sure, I do sometimes use some of the things in it, but they just as well could be stacked away somewhere farther and it wouldn't make a difference at all. That's why I decided to turn it into a styling cart for this blog. Stack away all the things in it, near or far, and replace them with props and things I could use when taking photographs. I have a love-hate kind of thing going on with my bathroom. It is a big one, with a lot of potential, truly. If only the ventilation was in order and the walls had been finished off correctly. Needless to say that I can't wait to sort out all its little off-putting cons and make it feel like some sort of mini-spa. Once again: plants are on top of the 'this'll top it off' list, but I'll have a lot of fixing to do first. That's about it! I can't wait to start. Q: where do you look for interior inspiration? Do you have something on the home wish list?